Google says it's focused on adding "new" clean energy resources to the grid. 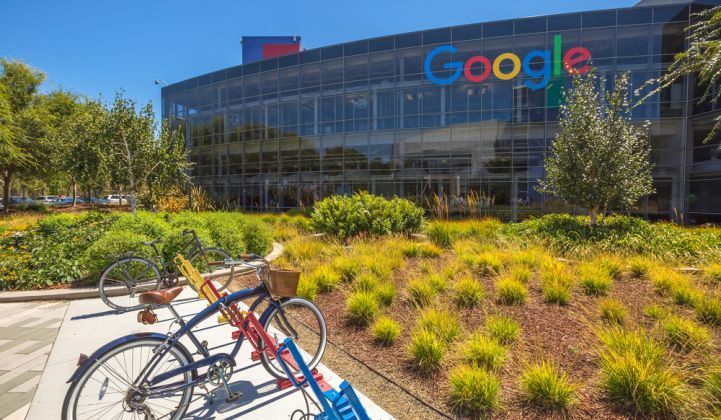 Google announced this week that it currently holds contracts to purchase 3 gigawatts of output from renewable energy projects, which is by far the most renewable energy purchased by a corporate entity to date. 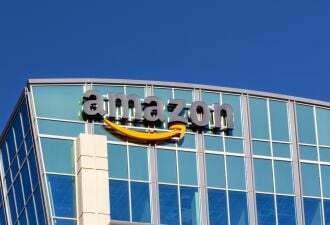 The tech giant says these contracts have led to more than $3 billion in new capital investment around the world. They also allowed Google to officially achieve its 100 percent renewable energy target. In December 2016, the company revealed it was on track to purchase enough renewable energy to match all the electricity it would consume over the next year. The 2017 numbers are now in, and it's official — Google met its goal. Google's total renewable energy purchases actually exceeded the amount of electricity the company used in its operations last year, including its offices and 15 data centers located across the globe. "Over the course of 2017, across the globe, for every kilowatt-hour of electricity we consumed, we purchased a kilowatt-hour of renewable energy from a wind or solar farm that was built specifically for Google," Urs Hölzle, senior vice president of technical infrastructure wrote in a blog post. "This makes us the first public Cloud, and company of our size, to have achieved this feat." In 2016, Google was able to cover 57 percent of its energy use with renewables. The company says it signed a record number of contracts for new wind and solar projects that year, which started to come online over the course of 2017. 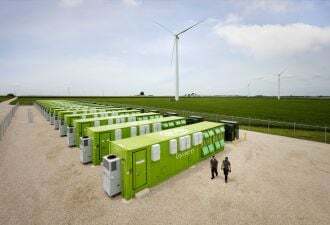 Hölzle acknowledged that these projects are not sending electrons directly to Google, "because it’s not yet possible to 'power' a company of our scale by 100 percent renewable energy." 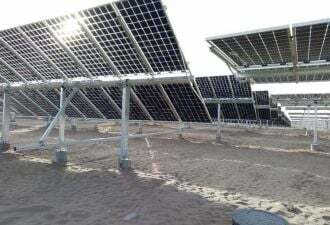 The renewables may be located in one place, while Google's data centers and offices are in another. What's most important is that Google is adding "new clean energy resources," he said. Kevin Haley, program marketing manager at the Rocky Mountain Institute confirmed that a very large portion of Google's clean energy activity has led to new renewable energy projects, built specifically thanks to PPAs signed by Internet company. RMI's Business Renewables Center deal tracker notes that about 2.4 gigawatts of new power can be attributed to Google-backed PPAs. "And that's looking only at domestic projects," Haley said. 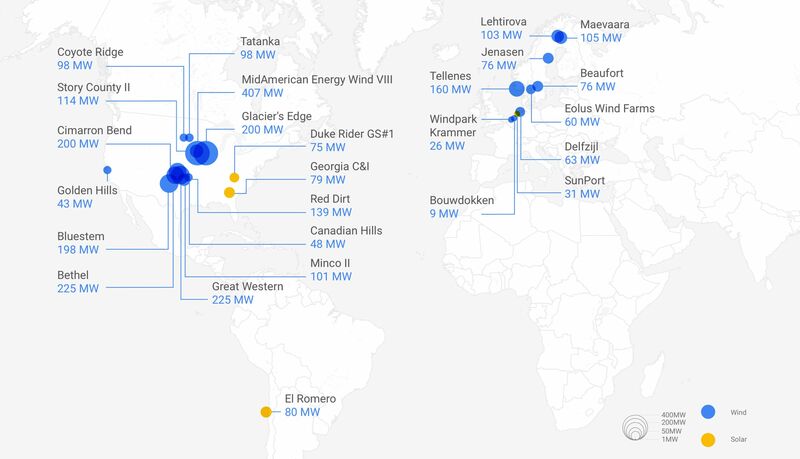 Google currently has 26 renewable energy projects around the world, and more in the pipeline. Last November, EDF Renewable Energy announced it will supply Google with 200 megawatts of wind energy generated from the new Glacier's Edge Wind Project in Iowa, expected to come online in December 2019. Google also signed agreements late last year for wind-generated electricity from Avangrid’s Coyote Ridge and Tatanka Ridge wind farms in South Dakota, as well as the Red Dirt site in Oklahoma. The company purchased a cumulative 536 megawatts from U.S. wind farms in November alone. Google has been a pioneer for other companies looking to get into the renewables game. A lot of hard work went into achieving the flashy 3 gigawatts figure. One example is an aggregation deal that Google participated in last year in the Netherlands. The company also worked with Duke Energy to produce a Green Source Rider in North Carolina and continues to seek policy reforms that make corporate wind and solar purchases easier, working with groups like the Renewable Energy Buyers Alliance and Re-Source Platform. As the company continues to grow, it wants to buy more renewables in the regions where it operates. But that continues to be a challenge. "In those regions where we can’t yet buy renewables, we’ll keep working on ways to help open the market," Hölzle wrote. "We do want to get to a point where renewables and other carbon-free energy sources actually power our operations every hour of every day," he said. "It will take a combination of technology, policy and new deal structures to get there, but we're excited for the challenge." Haley noted that while Google, Amazon and others move ahead with aggressive renewable energy procurement plans, few companies have the same depth of resources to pursue a wide-ranging renewables program. "It's important that the market continues to evolve to support smaller buyers—including offerings from utility companies, behind-the-meter options like rooftop solar, and streamlined aggregation purchasing options," he said. This story was updated to include additional insights from the Rocky Mountain Institute.